Botox® is a purified protein produced by the Clostridium botulinum bacterium. It is a non-surgical, physician-administered treatment that can temporarily reduce moderate to severe frown lines between the brows. During treatment, very low doses of Botox® Cosmetic are administered via a few tiny injections directly into the muscles that cause those stubborn lines. The treatment is usually done in about 10 minutes, and no recovery time is needed. Within days, you may see an improvement that can last up to 4 months. Results may vary. Q: How does Botox® work? A: Those moderate to severe frown lines between your brows form over time as the result of muscle activity. 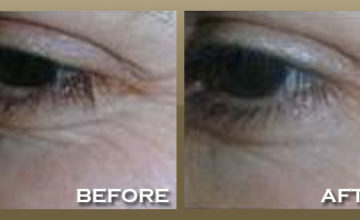 Botox® Cosmetic is injected directly into the muscles between your brows. It works by blocking the transmission of nerve impulses to the injected muscles; this reduces the activity of the muscles that cause those persistent lines to form. Q: When will I see results from a Botox® treatment? A: Within days, you may see a marked improvement in the moderate to severe frown lines between your brows. Lines continue to improve for up to a month, and results can last for up to 4 months. In clinical trials, nearly 90% of men and women rated the improvement in their appearance as moderate to better 1 month after treatment. Results may vary. Q: How long does Botox® last? A: Results from treatment with Botox® Cosmetic usually last up to 4 months. 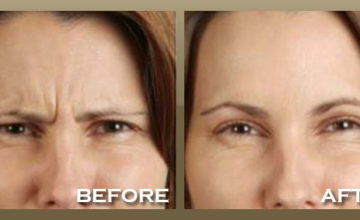 If you discontinue treatment, the frown lines between your brows gradually will look like they did before treatment. Q: Who should administer Botox®? A: Any authorized healthcare professional can administer Botox® Cosmetic, but physicians specializing in cosmetic procedures are generally more experienced. Q: Is treatment with Botox® painful? A: Discomfort is usually minimal and brief. Prior to injecting, your physician may choose to numb the area with a cold pack or anesthetic cream. The entire procedure takes approximately 15-20 minutes. Many people return directly to work or normal activity following Botox® Cosmetics treatment. Q: Who should not use Botox®? A: Botox® Cosmetic should not be used in the presence of infection at the proposed injection site(s) and in individuals with known hypersensitivity to any ingredient in the formulation. Patients with neurological disorders such as ALS, Myasthenia Gravis or Lambert-Eaton syndrome may be at increased risk of serious side effects. Patients with neuromuscular disorders may be at increased risk of clinically significant systemic effects including severe dysphasia and respiratory compromise from typical doses of Botox® Cosmetic. Q: Will I experience any side effects? A: Side effects from Botox® are rare. The common side effects are temporary in nature and are not considered dangerous. Q: Is anesthesia used for a Botox® procedure? A: Anesthesia is typically not required for Botox® injections. Q: Will my facial expressions continue to look natural? 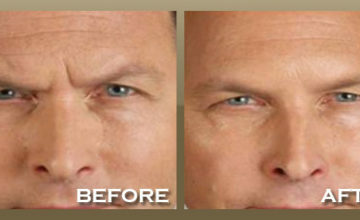 A: Although the results are visible, a treatment with Botox® Cosmetic will not radically change your facial appearance. The muscle activity that causes frown lines between the brows is simply reduced, so you can still frown or look surprised without the wrinkles and creases between your brows. 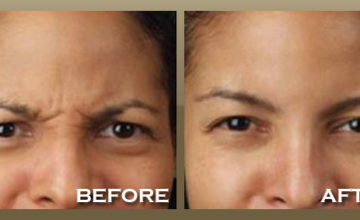 Q: What will happen to the frown lines between my brows if I choose not to continue treatments? A: If you do not continue treatments, the moderate to severe frown lines between your brows will gradually look like they did before treatment. A: When considering your facial aesthetic options, Botox® Cosmetic is quite affordable. According to the American Society for Aesthetic Plastic Surgery's 2003 survey, Botox® Cosmetic is one of the least expensive facial aesthetic procedures in the United States. Like other appearance-related investments, such as hair coloring and cuts, teeth whitening, and chemical peels, the cost must be weighed relative to your expectations. Consult your doctor for further information. Q: Are Botox® injections ever covered by insurance? A: Botox® procedures performed solely for cosmetic purposes are typically not covered by insurance, though some degree of coverage may be available for procedures used for medical purposes. Dr. Raphael Darvish and the Skinpeccable staff host cosmetic parties for events such as wedding parties, birthdays, or just a night with friends. During the party, we are available to treat a variety cosmetic concerns using Botox®, Fillers (ie. 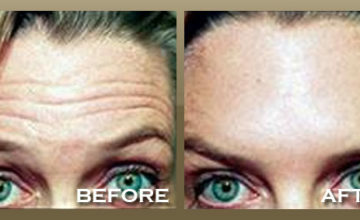 Restylane™, Juvederm™), Chemical Peels, and Microdermabrasion. We provide these treatments in the comfort of your home or at our beautiful office. All products used are of the highest medical standards. Please call Skinpeccable at 310.979.SKIN (7546) or email us for additional information and pricing. 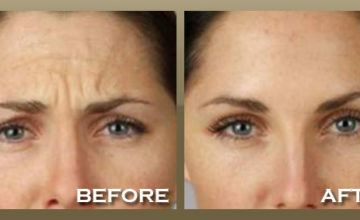 Schedule your Botox Treatment Today!